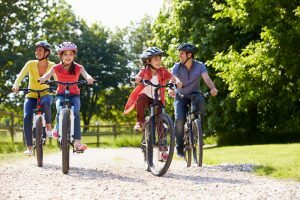 As many residents are well aware, New Jersey is the most densely populated state in the U.S. With the sheer volume of motor vehicle and foot traffic, unfortunately that does lead to instances where pedestrians are struck by cars, trucks, motorcycles, or buses. Accidents involving pedestrians commonly result in serious injury or even wrongful death. 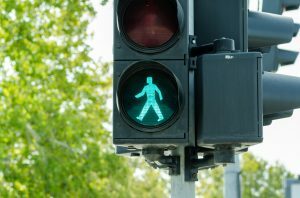 In these cases, the victims of pedestrian accidents may be entitled to financial compensation through personal injury claims which make a world of difference during the recovery process and well into the future. Personal injury attorney Michael P. Burakoff has been protecting the legal rights of pedestrians injured or killed by motorists since 1972. Our firm has extensive experience serving clients from local Morris County and Sussex County communities including Dover, Denville, Roxbury, East Hanover, Andover, Chatham, and across Northern New Jersey. Attorney Burakoff believes in putting the needs of our clients and their families first and foremost, allowing us to provide highly individualized and effective legal solutions. To learn more about your potential for a personal injury claim after a pedestrian accident, please call our Morristown office or our Newton office today for a free and confidential consultation with a member of our qualified and experienced legal team. In order for our Dover pedestrian accident injury lawyer to successfully recover compensation through a personal injury claim, we must first find fault for your injurious accident. Pursuant to New Jersey regulations, fault may be assigned to any individual or entity which acted negligently or recklessly, leading to an accident. Examples of negligent or reckless behavior might include speeding, distracted driving, driving while intoxicated, disobeyed posted traffic laws, and more. 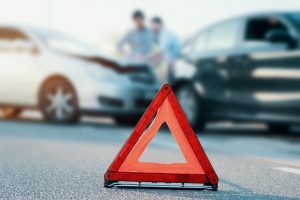 It is also important to understand that just because an individual is partially at fault for an accident, they are not necessarily precluded from seeking financial compensation. 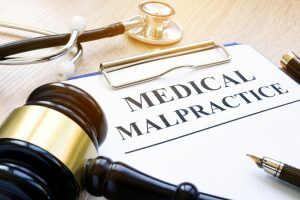 This follows NJ comparative negligence regulations, which state that as long as the suing party is less at fault than the defendant, damages may still be awarded. Seek medical attention. Getting to a doctor as soon as possible is essential in not only your medical recovery, but also your personal injury claim. The sooner you are able to receive a diagnosis of your injuries, the stronger the connection between your injuries and your accident. Speak to a personal injury attorney. As with any legal proceedings, securing the services of a qualified attorney is the only way to protect your legal rights. Do not sign anything or make any statements. Insurance companies will often try to tempt victims will lowball, lump sum settlement offers. Even worse, they may attempt to have victims try to waive their rights through “mandatory” paperwork. Do not sign anything without consulting a legal professional. Take note of any evidence (if possible). If you or a loved one is able, documenting the scene of your accident, your injuries, or even jotting down notes all may be useful down the line. This should never be done if it compromises safety in any way. At The Law Offices of Michael P. Burakoff, our pedestrian accident injury legal team takes pride in protecting the legal rights of clients from across Morris County, Sussex County, Roxbury, Morristown, Newton, Morris Plains, Andover, Florham Park, Dover, and all of Northern New Jersey. Attorney Burakoff has routinely recovered substantial verdicts and settlements for his clients, including a $1.6 million recovery for a pedestrian who sustained injuries after being struck by a car. If you are looking for a personal injury law firm where your voice will be heard throughout the legal process, look no further. For a free and confidential consultation regarding your accident, your injuries, and your potential personal injury case, please contact us online or through our Morristown or Newton, NJ offices by calling (973) 520-0525 today.